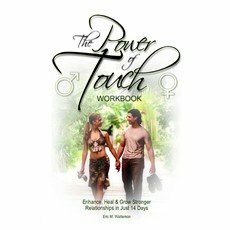 "The Power of Touch Workbook" covers topics about how to maintain relationship. Couples will be guided to deeply understand each other's heart and how to build a stronger bound in their relationship. - Pre-Exercise & Discovery: Where Are We? - Day1 : Is It All Right? Can You Touch My Heart? - Is It Really Joking? - Are You Speaking in a Superior Manner?